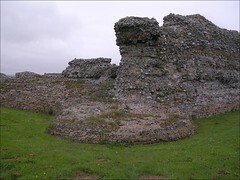 Richborough fort is in the care of English Heritage and the walls of the late fort are well preserved on three sides, but lost on the fourth (eastern) side. The outline of the headquarters building are located around the base of the monumental arch in the centre of the fort. A small site museum is located to the south of the fort. 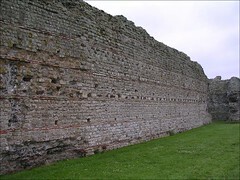 A series of photographs of the site are available whilst English Heritage's popular web page for the site provides details of opening hours and other useful information for the visitor. This is linked to a web page giving some historical background. There is also an academic page with links to PDFs with recent excavation reports.